Dr Tom Trevethan has been working as a qualified dentist for over 40 years. His wisdom, compassion and ability is renowned throughout Brisbane. Tom is passionate about dental health and endeavours to keep all his patient’s teeth healthy to achieve the results they want for their smile. Even as a student at the University of Queensland, Tom was recognised for his practical hand skills receiving high distinctions throughout his course. In fact a sculpture of a tooth he carved during his first year of dental college was chosen to be on show in the dental museum of the university. Amongst his extensive experience within private practice, Tom has also chosen to expand his skill set overseas. He travelled to Colorado Springs to study mercury free dentistry with Dr Hal Huggins, the author of ‘Toxic Time Bomb’ written about the mercury as a poison for humans. In March 2013 a treaty was passed to phase out the use of mercury fillings in dentistry. Because of Tom’s studies he is qualified to provide mercury filling removals and change overs. 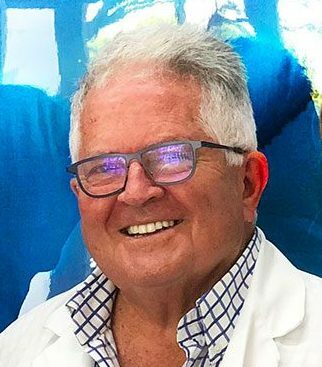 Tom has also studied TMD (now called TMD – Temporo Mandibular Dysfunction or jaw joint problems) with Dr Harold Gelb in his rooms in New York City. Dr Tom is currently a member of the International Academy of Oral Medicine and Toxicology.